If you are in town from Leesburg or Windermere looking for fun things to do in Clermont, FL–even free things to do in Clermont, FL–an easy place to search is community organizations. 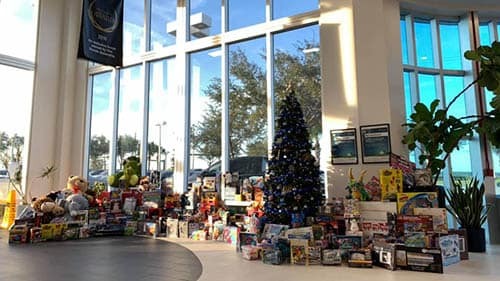 Headquarter Mazda is proud of our community ties, including our annual involvement with Toys for Tots and our partnership with the East Lake County Chamber of Commerce. Find out more below, and feel free to contact us if you have any questions! The East Lake County Chamber of Commerce is focused on promoting community and business growth in the area. It is made of hundreds of businesses and professional firms that are dedicated to creating a healthy community and economic environment. Be sure to check out their calendar for events like the ones below, and get involved with some Clermont, FL organizations! Founded in 1991, the Marine Corps Reserve Toys for Tots organization calls for donations of unwrapped toys to give to children in need during the holiday season. 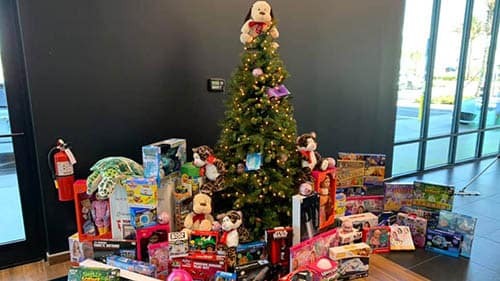 Every year, the Headquarter Mazda and Headquarter Honda dealerships team up to represent Headquarter Automotive in a Toys for Tots shopping trip, and this year was another great success. 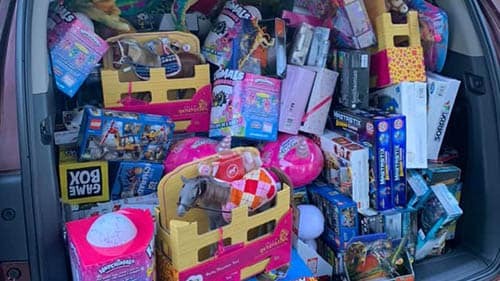 The Esteve family matched our incredible staff’s donations to double the toys we were able to give, making this the largest Headquarter toy collection to date! Thank you to the Marines who came to pick up our collection for delivery! We are always looking for involvement and volunteer opportunities in Clermont, FL and the Winter Garden area, so don’t hesitate to reach out to us with suggestions–we appreciate our customers and community and are eager to form new partnerships in our area. Don’t hesitate to contact us if you have any questions or want to know more about the services we offer.